Throughout 2017 and 2018 Unit 42 has been tracking and observing a series of highly targeted attacks focused in South East Asia, building on our research into the KHRAT Trojan. Based on the evidence, these attacks appear to be conducted by the same set of attackers using previously unknown malware families. In addition, these attacks appear to be highly targeted in their distribution of the malware used, as well as the targets chosen. Based on these factors, Unit 42 believes the attackers behind these attacks are conducting their campaigns for espionage purposes. We identified decoy files which indicate these attacks began with spear phishing messages but have not observed the actual messages. These decoys contain details from public news articles focused primarily on political news and events. Based on this, we believe the Rancor attackers were targeting political entities. Additionally, these decoy documents are hosted on legitimate websites including a government website belonging to the Cambodia Government and in at least once case, Facebook. The malware and infrastructure used in these attacks falls into two distinct clusters, which we are labeling A and B, that are linked through their use of the PLAINTEE malware and several “softer” linkages. Building on our previous research into KHRAT Trojan, we have been monitoring KHRAT command and control domains. In February 2018, several KHRAT associated domains began resolving to the IP address 89.46.222[.]97. We made this IP the center of our investigation. Examining passive DNS (pDNS) records from PassiveTotal revealed several domain names associated with this IP that mimic popular technology companies. One of these domains, facebook-apps[. ]com, was identified in one of the malware samples associated with this IP address. Digging in further, the malware family we later named “PLAINTEE” appears to be quite unique with only six samples present in our data set. Apart from one sample (c35609822e6239934606a99cb3dbc925f4768f0b0654d6a2adc35eca473c505d), we were able to link all PLAINTEE samples together by the infrastructure they use. The diagram in Figure 1 shows the samples, domains, IP addresses and e-mail addresses that we identified during our investigation (See Appendix B for more detail on these.) There is a clear split between Cluster A and Cluster B, with no infrastructure overlap between the two. 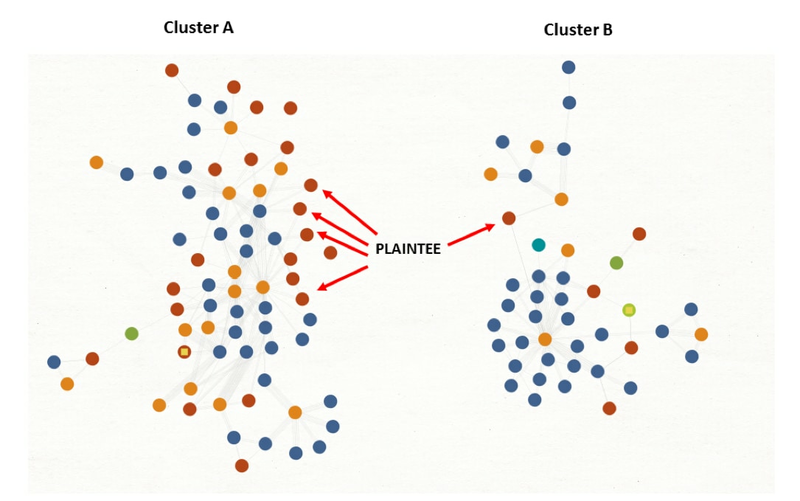 Figure 1 – Diagram showing the split of PLAINTEE samples across the two clusters of activity. Our Investigation into both clusters further showed that they were both involved in attacks targeting organizations in South East Asia. Based on the use of the relatively unique PLAINTEE malware, the malware’s use of the same file paths on in each cluster, and the similar targeting, we have grouped these attacks together under the RANCOR campaign moniker. For many of the samples we’ve been unable to identify how they were delivered to end victims; however, in three cases we were able to locate the files used to deliver the Trojan, which we found merited more investigation and are briefly discussed below. In our research we found at least one attack against a company leveraging a Microsoft Office Excel document with an embedded macro to launch the malware. Interestingly, the delivery document borrowed a technique which was publicized in late 2017 as being used by the Sofacy threat actors, embedding the main malicious code in a EXIF metadata property of the document. By doing so, the main content of the macro itself (Figure 2) can be kept relatively simple, and the malicious’ codes small footprint can help enable evasion of automated detection mechanisms based on macro content. /tn "Windows System" /tr "C:WindowsSystem32spooldriverscolortmp.vbs"
In this case the attackers sent an HTML Application file (.hta) to targets most likely as an email attachment. When opened and then executed, the key components of the HTA file downloads and executes further malware from a remote URLand loads a decoy image hosted externally (Figure 3). Figure 3 – The decoy image loaded when the .HTA file is executed. The decoy in Figure 3 strongly suggests the attackers were conducting an attack against a political entity in Cambodia. 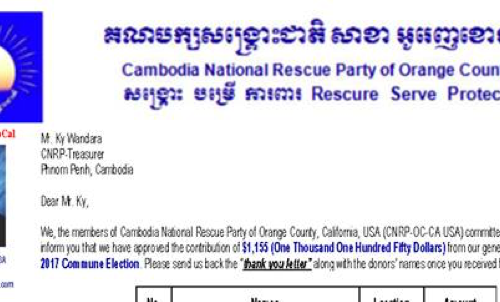 The Cambodia National Rescue Party is a politically motivated opposition movement. In the above command, the malware is downloading and executing a payload and configuring it for persistent execution. In two of the three examples, the malware also downloads and opens a decoy PDF document hosted on a legitimate but compromised website. 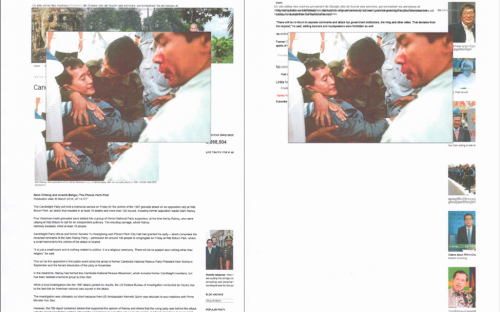 The decoy documents seen in these cases were related to Cambodian news articles, an example is shown in Figure 4 below. The decoy above discusses a recent event that took place against political party supporters in Cambodia, a similar theme to the decoy document observed in Figure 3. It is worth noting that the third DLL mentioned attempts to download the decoy document from a government website. This same website was used previously in a KHRat campaign targeting Cambodian citizens. In all cases where we were able to identify the final payloads used, the DDKONG or PLAINTEE malware families were used. We observed DDKONG in use between February 2017 and the present, while PLAINTEE is a newer addition with the earliest known sample being observed in October 2017. It’s unclear if DDKONG is only used by one threat actor or more than one based on the data available. In this section we’ll go over the capabilities and operation of these malware families. Table 1 – DDKONG sample analyzed in full. The ServiceMain exported function indicates that this DLL is expected to be loaded as a service. If this function is successfully loaded, it will ultimately spawn a new instance of itself with the Rundll32Call export via a call to rundll32.exe. The Rundll32Call exported function begins by creating a named event named ‘RunOnce’. This event ensures that only a single instance of DDKong is executed at a given time. If this is the only instance of DDKong running at the time, the malware continues. If it’s not, it dies. This ensures that only a single instance of DDKong is executed at a given time. DDKong attempts to decode an embedded configuration using a single byte XOR key of 0xC3. Once decoded, the configuration contains the data shown in Figure 5 below. After this configuration is decoded and parsed, DDKONG proceeds to send a beacon to the configured remote server via a raw TCP connection. The packet has a header of length 32 and an optional payload. In the beacon, no payload is provided, and as such, the length of this packet is set to zero. 00000120: 33 5C 5A 43 6F 6E 66 69 67 00 00 00 00 00 00 00 3ZConfig…….ZConfig……. Table 2 – Plugin downloaded during runtime for DDKong sample.DDKong sample. This plugin provides the attacker with the ability to both list files and download/upload files on the victim machine. Table 3 – PLAINTEE sample analyzed in full. "Microsoft Audio" /t REG_SZ /d "%APPDATA%Network Service.exe"
Next, the malware calls the ‘Sub’ function which begins by spawning a mutex named ‘microsoftfuckedupb’ to ensure only a single instance is running at a given time. In addition, PLAINTEE will create a unique GUID via a call to CoCreateGuid() to be used as an identifier for the victim. The malware then proceeds to collect general system enumeration data about the infected machine and enters a loop where it will decode an embedded config blob and send an initial beacon to the C2 server. The configuration blob is encoded using a simple single-byte XOR scheme. The first byte of the string is used as the XOR key to in turn decode the remainder of the data. Table 4 – Configuration stored in the malware. The malware then proceeds to beacon to the configured port via a custom UDP protocol. The network traffic is encoded in a similar fashion, with a random byte being selected as the first byte, which is then used to decode the remainder of the packet via XOR. An example of the decoded beacon is show in Figure 7. The structure for this beacon is given in Table 5. Table 5 – Beacon structure for PLAINTEE. This beacon is continuously sent out until a valid response is obtained from the C2 server (there is no sleep timer set). After the initial beacon, there is a two second delay in between all other requests made. This response is expected to have a return command of 0x66660002 and to contain the same GUID that was sent to the C2 server. Once this response is received, the malware spawns several new threads, with different Command parameters, with the overall objective of loading and executing a new plugin that is to be received from the C2 server. The attacker performed these two commands 33 seconds apart. As automated commands are typically performed more quickly this indicates that they may have been sent manually by the attacker. The RANCOR campaign represents a continued trend of targeted attacks against entities within the South East Asia region. In a number of instances, politically motivated lures were used to entice victims into opening and subsequently loading previously undocumented malware families. These families made use of custom network communication to load and execute various plugins hosted by the attackers. Notably the PLAINTEE malwares’ use of a custom UDP protocol is rare and worth considering when building heuristics detections for unknown malware. Palo Alto Networks will continue to monitor these actors, their malware, and their infrastructure going forward. Wildfire correctly identifies all samples discussed as malicious. Traps appropriately blocks the malware from executing. AutoFocus customers may track this threat via the KHRAT, DDKONG, PLAINTEE, and RANCOR tags. Changing the default handler for “.hta” files in your environment so that they cannot be directly executed.hta” files in your environment so that they cannot be directly executed. 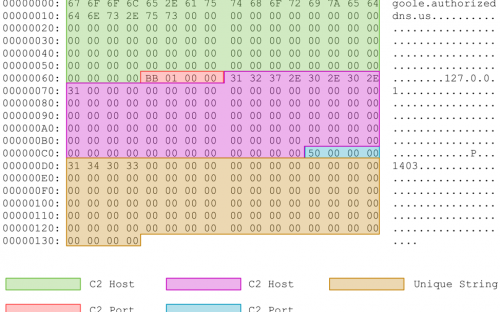 The post RANCOR: Targeted Attacks in South East Asia Using PLAINTEE and DDKONG Malware Families appeared first on Palo Alto Networks Blog. Over the past several months, customers have been asking for the ability to run a Best Practice Assessment (BPA) more frequently, on their schedule, and in their own environment. We are happy to share that we have been able to do all of this without sacrificing any of the features that customers love. On November 14th, we will be launching the Self-Service BPA on the Customer Support Portal. What is a BPA?